In a recent survey at Concordia, women reported they didn’t feel as safe on campus as their male colleagues, and of the 1595 people surveyed nine per cent said they had experienced sexual violence first hand on campus. The findings came out today as Concordia released its report of sexual violence on campus, which was launched after allegations of sexual violence emerged out of Concordia’s creative writing department in January. The CBC later revealed that professors David McGimpsey and Jon Paul Fiorentino were at the center of a third-party investigation—though the results of the third-party investigation will remain confidential because of legal constraints. 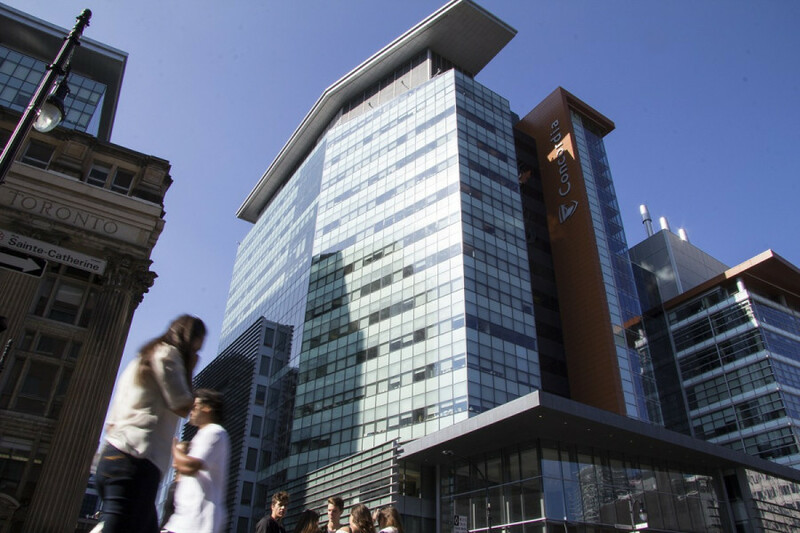 The report found that 70 per cent of those who reported their experience of sexual violence to Concordia said they were dissatisfied with the results. Many said their privacy was not protected and that no consequences for their perpetrator resulted from the process, while others said they lacked support and were told that nothing could be done to address their complaints. Courtesy of The Report of The Task Force on Sexual Misconduct and Sexual Violence. It’s not the first time Concordia’s Office of Rights and Responsibilities has come under fire for the way it handles complaints of sexual violence. In 2017, two students brought complaints to the Quebec Human Rights Commission and the Quebec Administration Tribunal. A combined $120,000 was sought for the alleged mishandling of their complaints. Others said the university’s resources for survivors of sexual violence were lacking, and said the process for filing complaints was confusing and that policies related to sexual violence were difficult to understand. To address that the school said it will be creating an easy to understand guide for bringing forward complaints. The findings in the report stem from consultations with students, staff, faculty and members of the administration. Others were free to fill out surveys, or to send emails to the group tasked with writing the report. “I truly believe that this is an integral step in our continuous goal to foster an educational and working environment free from any form of sexual misconduct or sexual violence,” said Concordia President Alan Shepard in a statement. The report recommends widespread mandatory consent training for the entire Concordia community–which will be offered in person and through articles online. “It will be a challenge, but it’s something that we need to do,” said Deputy Provost Lisa Ostiguy, who helped lead the report. A wider definition of sexual violence in the school’s policies was also recommended. That comes after many said the current description failed to describe coercion, abuse of power and psychological harassment as components of sexual violence. The report also asked that investigations into complaints of sexual violence be done through a third-party whenever possible, rather than being done internally. Policies will also be modified to strongly discourage any consensual relationships between students and staff. While the work done is good start, General Coordinator of the Concordia Student Union Sophie Hough-Martin said she hopes to see more done. Hough-Martin added she felt more focus was put on making the school’s policies more visible, rather than actually improving them. “I hoped to see a little more owning up to where the policies are falling flat, that just didn’t happen,” she said. Hough-Martin said she hoped to see the school implement a separate procedure for handling complaints of sexual violence that is seperate from the school’s code of rights and responsibilities. She also said the school failed to address student’s complaints about how the Office of Rights and Responsibilities deals with sexual violence complaints. “I think the fact that wasn’t focused on in the recommendations as much was an oversight and troubling,” Hough-Martin said. With the report completed, the school announced it will set up a permanent committee to ensure recommendations from the report are properly implemented and will reassess whether those recommendations are being implemented every two years. Ostiguy said that group will look to ensure women feel safer on campus, and work to widen the resources available at the school’s Sexual Assault Resource Center. She said the center is expected to hire another permanent employee by the end of the summer. The same committee will also look to ensure the school is meeting the demands of upcoming provincial legislation, which demands school’s organize consent training for all students and that they improve their sexual violence policies by January of 2019.